Rubber Floor Mat. Full Seat Cover Seat with Carpet Floor Mats. Fabric seat covers. Leather seat Covers. 3 Row seat covers. Floor Mats. Full Seat Cover Set. fabric floor mats. Leather seat Covers. Fabric seat covers. 3 Row seat covers. Material:PU Leather, Premium PU leather with a protective coating that is soft to the touch, water resistant, and durable. Special pattern design adds a vibrant look to your car. Leather seat Covers. Universal application fits almost all seats ( Cars, Trucks, Vans, & SUV ). Steering Wheel Cover. Fabric seat covers. 3 Row seat covers. Complete Seat Covers Mats Combo. 2 Airbag Compatible Bucket Covers. Premium PU leather, breathable and wear resistant. Soft touch and easy to wash with wet cloth. Car Seat Covers. Car Steering Wheel Cover. Car Accessories. Adjustable and detachable rear bench, free to fit different seat sizes. Tissue Dispenser. Universal application fits almost all seats ( Cars, Trucks, Vans, & SUV ). Fabric seat covers. Leather seat Covers. 3 Row seat covers. Complete Seat Covers Mats Combo. The world of auto decoration. Leather Fron Bucket Cushion Pads with Silicone Steering Wheel Cover. Dash Anti-slip Mat. Non-slip backing interior softer, water resistant, and more breathable. Two Front Cushion Pads. Leather seat Covers. Rubber Floor Mat. Full Seat Cover Set. Floor Mats. Fabric seat covers. Leather seat Covers. 3 Row seat covers. fabric floor mats. leather floor mats. Full Seat Cover Seat with Carpet Floor Mats. Carpet Floor Mat. Floor Mats. Fabric seat covers. Leather seat Covers. 3 Row seat covers. Full Seat Cover Set. fabric floor mats. Leather seat Covers. Fabric seat covers. 3 Row seat covers. Material:PU Leather, Premium PU leather with a protective coating that is soft to the touch, water resistant, and durable. Floor Mats. Full Complete Car Seat Cover Set. Leather seat Covers. Universal application fits almost all seats ( Trucks, Vans, & SUV ). Fabric seat covers. 3 Row seat covers. 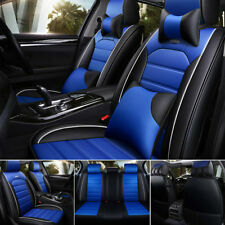 Full Complete 3 Row Car Seat Covers. 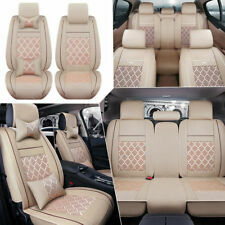 Complete Vehicle Interior Seat Protections for 3 ROW Vehicles. Front Bucket Cushion Pad Covers with Travel Phone/Coin Holder. Two Front Bucket Cushion Pads. Leather seat Covers. Phone Holder. Fabric seat covers. 3 Row seat covers. Material:Highest grade of faux leather with quilted design. Complete Seat Covers Mats Combo. Complete Vehicle Interior Protections from Seat to Floor. Floor Mats. Fabric seat covers. Leather seat Covers. 3 Row seat covers. Heavy Duty Floor Mats. fabric floor mats. 7 seaters fabric. 8 seaters fabric. 7 seaters leather. 8 seaters leather. 3 Row seat covers. Full 3 Row Seat Covers. Universal application fits almost all seats ( Cars, Trucks, Vans, & SUV ). Fabric seat covers. Front Bucket Cushion Pad Covers with Dash Anti-Slip Mat. Two Front Bucket Cushion Pads. Leather seat Covers. Fabric seat covers. 3 Row seat covers. Material:Highest grade of faux leather with quilted design. Material: PU leather sponge non-woven fabric anti-skid base cloth. Seat Cover. Reserve for seat belt plug on back seat cushion, no influence on seat belts; rear central armrest pad is detachable, convenient and practical. Complete Seat Covers Mats Combo. Leather seat Covers. Universal application fits almost all seats ( Cars, Trucks, Vans, & SUV ). Steering Wheel Cover. Fabric seat covers. 3 Row seat covers. 2 Airbag Compatible Bucket Covers. 2pc Black Front Seat Cover with Hook. Car Seat Covers. Car Steering Wheel Cover. Car Accessories. Wear-resistant edge surrounded design, better protect your car seat against dirt, spills, stains, crumbs and pet hairs. Front Bucket Cushion Pad Covers with Silicone Steering Wheel Cover. Two Front Bucket Cushion Pads. Leather seat Covers. Fabric seat covers. 3 Row seat covers. Silicone Steering Wheel Cover. Material:Highest grade of faux leather with quilted design. Leather Fron Bucket Cushion Pads with Silicone Steering Wheel Cover. Phone Charging Dock. Non-slip backing interior softer, water resistant, and more breathable. Two Front Cushion Pads. Leather seat Covers.